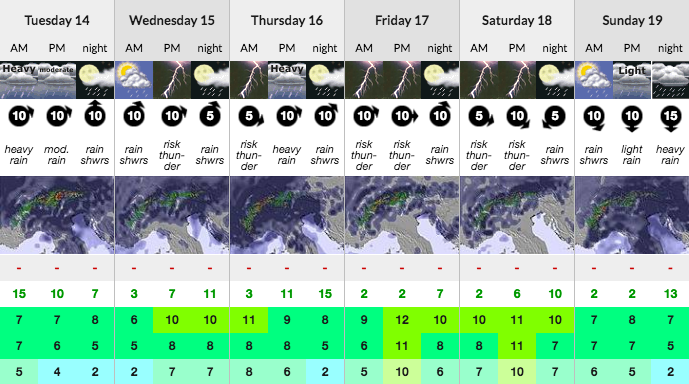 The current forecast in Morzine is rain. But that's fine! Morzine! Rain rain, go away. Come back another day! Or don’t? Yes you heard us… Let it rain! Yes it’s a little rainy up in the mountains, and unfortuantely it doesn’t look like it will be perfect weather for Crankworx in Les Gets later this week. But with similar cycles in past years – we’re pretty set on July & August’s weather being as good as last year! 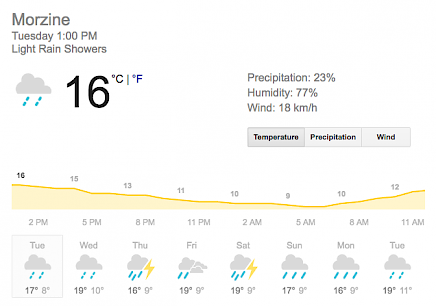 (There were floods in Morzine last May and look at what happened over the summer months – SUN!). So – Mountain Mavericks prediction is great weather this summer. Perfect for some Tour de France or Summer Activity Weeks action! Previous: Mummy Snowboarder – Pushing the Limits! Next: Crankworx 2016 in Les Gets!